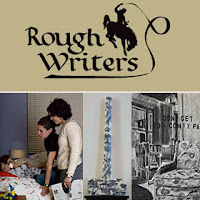 In our Second 2012 installment of Interns' Choice the FAC interns in the Marketing and Museum offices share the upcoming shows on the Fine Arts Centers two stages that they find of particular interest. Ever since I was a kid, I have loved "A Christmas Story", the hilarious movie about Ralphie's quest for his dream Christmas gift: a Red Ryder BB gun. In addition to Ralphie being told, hilariously, by everyone (even Santa himself) that he'll shoot his eye out if he gets the gun, the story involves a lamp shaped like a woman's leg, a kid getting his tongue stuck to a cold flag pole, and Ralphie's little brother unable to put his arms down because of his super puffy snow suit, to name a few of my favorite moments. 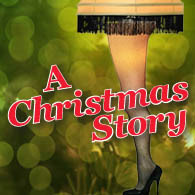 This year, I am so excited to see "A Christmas Story" performed on the stage! I hope no one shoots their eye out. Don't tell my friends but I'm definitely a closet romantic. The type of person who soaks up cheesy Nicholas Spark's books and movies. There is definitely nothing more romantic than a story about a woman swapping bodies with an elderly man before her wedding and (...wait for it), her fiance realizing and trying to find her. 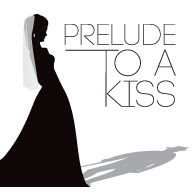 Prelude to a Kiss is often seen as a metaphor for the AIDs virus which certainly adds another layer to this interesting Freaky Friday-esque romance. One that I'm definitely excited to (secretly) swoon over. I'm not a big theatre person, but something about the process behind bringing productions from script to stage interests me. The closing production of the Second Stage season is "Rough Writers: A New Play Fest," that will bring playwrights and their developing theatrical works to an audience. Getting to know the impetus behind productions by speaking with the playwrights themselves should be a cool new way to appreciate theatre.